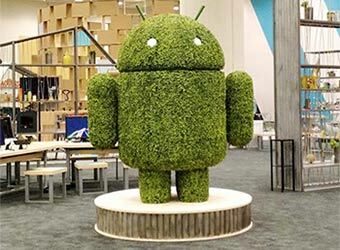 Google has rolled out the new version of its mobile operating system that tweaks the interface and packs in a host of performance-enhancement features. Christened Android 7.0 Nougat, the latest version is finally out of beta. It will be readily available to the Google's own Nexus devices but others will have to wait a few months. The first new phone with the pre-installed update will be LG V20, which is likely to be released in September. There are nearly 250 major new features in Android 7.0 Nougat, Sameer Samat, vice president of product management, Android and Google Play, said in a statement. Here is a quick overview of the new Android 7.0 Nougat. The first visible change in the Nougat is in the notifications. With the new template, users can swiftly reply to almost all communication-based notifications, with the quick reply function. Users can hit reply from the notification and type their message directly into the box. Multi-window screen support, or side-by-side split (or on top of each other), is another additional feature to allow users to multitask on their smartphone. The feature was already there on Samsung and other devices, but this is a first on Google. Users even have the option to resize the split screen. The feature will be more useful in tablets and phablets, given their screen size. Still, it is a welcome addition for smartphones as well. Google has redesigned the Quick settings Widget and has added Bluetooth, Wi-Fi and the flashlight in a single swipe. Users now can simply switch between two most recently used apps by simply double-tapping the overview button, making bouncing between two apps more swift. In Android 6.0, Google introduced the Doze feature which helps save battery life when the phone is stationary. In Nougat, Google has extended that feature while the phone is moving too, so the Doze will activate even when you are on the go. Google promises that your device will now boot faster and your data will be more secure. New features such as Seamless update, File-based encryption and Direct boot has been added for the task. Direct Boot will help your device start faster, and apps run securely even before you unlock your device when your device reboots. With seamless update, the new Android devices with Nougat can install software updates in the background. This means you won't have to wait while your device installs the update and optimises all your apps for the new version. Also, with file-based encryption Nougat can better isolate and protect files for individual users on your device. Other notable changes include the addition of a feature for Virtual Reality mode called Daydream to ensure smooth functioning of VR apps. The update also includes a multi-locale support in the settings for the apps to tailor their content, and will be useful for multilingual users. Over the next several weeks, the Nexus 6, Nexus 5X, Nexus 6P, Nexus 9, Nexus Player, Pixel C and General Mobile 4G (Android One) will get an over-the-air software update to Android 7.0 Nougat. Any devices enrolled in the Android Beta Program will also receive this final version, Google said.